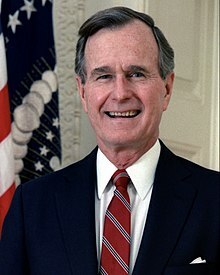 ^ 1.0 1.1 Former President George H.W. 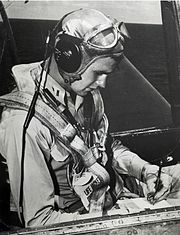 Bush dead at 94. ABC News. 2018-12-01 [2018-12-01]. ^ 2.0 2.1 Nagourney, Adam. George Bush, 41st President, Dies at 94. The New York Times. 2018-11-30 [2018-11-30]. ^ Presidential Avenue: George Bush. Presidential Avenue. [2014-06-15]. （原始内容存档于2007-10-08） （英语）. ^ Bush, George Herbert Walker. Scholastic Library Publishing, Inc. [2015-02-19]. （原始内容存档于2008-06-15） （美国英语）. ^ TX District 07. Our Campaigns. [2015-02-19] （英语）. ^ The George Bush Center for Intelligence. Central Intelligence Agency. 2007-04-05 [2014-08-04] （英语）. ^ Photo P012712PS-0676. The Whitehouse. 2012-01-27 [2013-04-24]. ^ Updegrove, Mark K. An Exclusive Conversation with President and Mrs. Bush. Parade. 2012-07-15 [2017-02-15]. ^ David, Javier E.; Breuninger, Kevin. Tributes pour in for former president George HW Bush as state funeral preparations begin. CNBC (NBCUniversal). 2018-12-01 [2018-12-02]. ^ Ingber, Sasha. Presidents And Former Colleagues React To George H.W. Bush's Death. NPR. 2018-12-01 [2018-12-02]. ^ 老布殊去世 靈柩由國會山莊移送到國家大教堂. 香港01. 2018-12-05.